It never dawned on me to make sure the mobile site was as good as the full website, if you have checked out my website only on your smartphone it needs a lot of work, you can view the full site on your mobile if you scroll to the bottom and hit the “full site” link. Sorry for not saying something earlier, I am sure that a lot of you were not to impressed at first. I will continue to improve everything over the course of the baseball season, thanks for all your support! I have been trying to write a biography, a friend of mine wrote one for me and it was very good. I feel that I need to write it my way and do it piecemeal, I wrote a few paragraphs today about some childhood things, you can read them here http://www.baseballbuddha.com/biography.html , just click on that link. I will continue to update it if it is of interest to people, but you will get a feel for me and how I grew up. It is -8 degrees outside as I write this, in 2 weeks I will be in Florida watching baseball. It doesn’t seem possible that baseball is right around the corner with this weather! I have been very busy packing up my home and getting it ready to put in storage, still a lot to do and I am running out of time. I need to recruit someone to help me load up a moving truck yet! 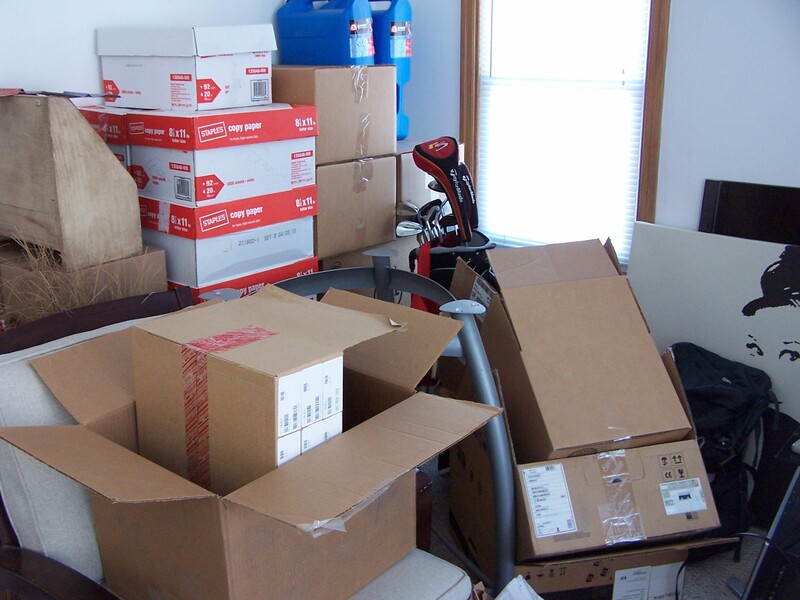 I don’ have a lot of things and it should only take about an hour to load a truck because I have it all boxed up, but I have a few large items I need help with. It feels so odd to be packing and not having a place that I am going to call home, I am going to be a nomad for the baseball season and I will let the season unfold and I will go where I am pulled. I have so many worries that play out in my head but I continue to overcome the scare of those, I am understanding the “comfortable” mentality more each day and I can see why a lot of people put things off to another day, we or I have become very comfortable with our lives and how they are playing out, I understand why people don’t take the risk of doing something different, we love familiarity. I have no issues with any of this because I am feeling the uneasiness of uprooting my entire being and really getting out of my comfort zone and it scares me a lot. I worry about a lot of things about this trip, i.e. car breaking down, sleeping in the car, running out of money, not finding interesting stories, not knowing how to write about the stories I do find, not getting any followers, meeting some crazy people, not finding a game to watch, my daughter needing me and she can’t get a hold of me, all my stuff getting stolen, nobody buying any t-shirts or hats, me not knowing what to say when people start asking me questions… The list goes on and I need to share all this with you, I hope I don’t sound neurotic, I am not, these are concerns and I am taking a big risk and I am so excited to do this but there are days that I wish I could just be daydreaming about it than actually getting ready to do it. Human nature I guess, just want to be comfortable… Thanks for reading my rant! Hope it warms up! Crowdfunding is the collective effort of individuals who network and pool their money, usually via the internet, to support efforts initiated by other people or organizations. I chose to start a campaign on the website Indiegogo.com, there are many sites to chose from and it is becoming the go to platform to raise money for a variety of projects. At Indiegogo, creating a campaign is simple. Tell people what you are doing, how they can help and what unique perks they’ll get for becoming contributors. It is my goal to raise approximately $50,000 to help support Baseball Buddha. My personal contribution is roughly $10,000 and I also have commitments of an additional $10,000 from a couple of supporters. I am looking for the support of baseball fans to raise another $10,000 on Indiegogo.com and the remaining $20,000 I hope to raise as I am out traveling and interacting with baseball fans across America during the season. The $50,000 will go towards the expenses I incur on the road, i.e. gas, insurance, camping fees, baseball tickets (hopefully I will meet some great people along the way that will give me tickets) and the occasional hotel. I promise that I will live frugally as I conduct this social experiment! If you would like to contribute to this project you can do it a number of ways, purchase a T-Shirt or Hat, or donate a gallon of gas on my website www.baseballbuddha.com. Shirts can purchased when you click on the Buddha “Swag” link and to donate a gallon of gas click on the “How You Can Help” link. These links are at the top of page. The other way to contribute is to go to the Indiegogo,com link http://www.indiegogo.com/projects/baseball-buddha–2/x/5965788 . Just click on the shirt to order one! I am excited to announce the partnership between Baseball Buddha and Topline Promotions. Topline has agreed to make and ship all of Baseball Buddha’s “swag”! Scott Gillette and Topline Promotions is a premier provider of embroidery and screen printing apparel and imprinted advertising specialty products. Since 1994, they have provided corporations, small business and organizations with the highest quality products available. Topline will be producing all current orders for T-Shirts and we hope to have everything out at the end of next week, we are also going to unveil the new baseball hat next week! If you haven’t ordered a T-Shirt please go to http://w.mawebcenters.com/baseballbuddha/ecommerce/ and place your order! I have created 3 new T-Shirts. My work has been very gracious and has let me go 2 weeks early and will pay me until the end of the month, this is a great blessing and very much appreciated! I have a lot to do and it is just starting to sink in that I don’t have much time left, to get it all done. I dropped my daughter back off at college yesterday and as I drove home I, of course, got a little nostalgic. I have been blessed with so many great things, friends and a family that amaze me everyday. Without all the encouragement and people cheering me on, I don’t know where I would be at! I know some are tuning in to see if this thing is going to be a train wreck, but I know those people are the ones that will find the humor in all of this and I need that kind of support also! I have been packing things up and bringing some of my daughters things over to my ex-wife’s place for storage, she of course thought it would be a great opportunity for her to get some help organizing her storage locker, which I was more than willing to do, as I went through some of the things she had in storage I came across a bunch of stuff from when we were married (been divorce 7 years). Memories are wonderful things, you can never go back and relive those experiences physically but I sure do relive the good ones on a regular basis. I don’t live in the past but I at times wish I was more aware when I was having all those wonderful experiences. I am very grateful to have all of you in my life, you have taught me much. I started writing that I am lucky to have you all in my life, but I don’t think luck has much to do with it, it is what you make of the opportunities and interactions with others. Well I hope that rant made sense to you, you guys thought this was going to be about baseball, we will eventually get to all of that, this is about me having the courage to open up and show you who I am, show you what my passions are, and go out and do something that will help me embrace life as fully as I can. Remember this is a social experiment, in my mind, for this to work you have to know who I am so I can go out and write about what is authentic and real with the fan experience of baseball. Please also remember I have had no training as a writer or journalist, if I go off on some disjointed train of thought, please just go with it, or you can point it out in the comment section because then I know someone was actually reading this. To the grammar police, I admire you and I wish to be at your level some day, if I screw up and put “your” when I should have put “you’re”, point that stuff out because I know better with that one! “Baseball is happiness.” I read this in the biography of the twitter account @_baseballbuddha. I investigated further into the account and noticed, in shock, the amount of followers the account has, 5,000. Who is this “Baseball Buddha” and why do they have so many followers? Well @_baseballbuddha goes by the name of John Reimer, or more commonly known to me as Dad. In February 2014, @_baseballbuddha will depart on a daring journey across the United States. For nine months he will be traveling to every state and observing a new baseball game each day. For nine months, my adventurous, dependable, and optimistic dad will be on an excursion of a life time. Ever since he was born in (deleted year), John Reimer has maintained an adventurous spirit, whether it was hiking through the bluffs of Devils Lake, or traveling to India on a Buddhist retreat. He is always seeking a new place to explore. His spirit has led him to his newest journey across the nation. John Reimer will be traveling to, and camping in, each state in the U.S. As he explores each state and the culture within, he will also be attending a game of baseball per day, ranging from the major to little leagues. As he explores each state, he will “document the experience day by day, each game, and every moment until the final pitch is thrown and the last out is played.” As he explores each state, he will not only reunite with his love for baseball, but will also fulfill his need for adventure. Even though my father will be away for nine months, he will maintain his role as the dependable father that I have grown up with. My father has always been the type of person that goes out of his way for others when they are in need of help. I for one have experienced this first hand. On multiple occasions he has altered his schedule, no matter how busy, to be with me in a time of need. He has been there for me through my highs and lows, whether I’ve been good or bad, and always ready to listen. He is always ready with words of wisdom and is dependable whether I want someone to hang out with, or just somebody to listen to me unload. My father is much more than just that to me, he is my best friend, and as he embarks on his journey, I know he will be there for me every step of the way of mine. No matter what my father experiences during these next few months, I know that he will be looking at every situation with “the glass is half full” perspective. I know this because it is a part of him. He has always viewed things on the brighter side, and no one can ever change that about him. John Reimer is the kind of man that could be on the side of a cliff holding on for dear life and still be thinking “wow, what a nice view.” He’s a person to turn to, regardless of the situation, and regardless of your relationship with him. He is always looking for someone to help, whether it is his daughter, sibling, or just a random civilian on a street. No matter the scenario, he has the ability to show one the positive side and how to grow from it. To top it all off, he will never let one down with his advice. The man is as bright as the sun getting in the eyes of an outfielder trying to catch a fly ball. As my father begins this new chapter in his life, the one thing that I know for certain is that every day, whether it’s rain or shine, he will be sitting in the bleachers somewhere with a pen in his hand and a smile on his face, loving life. Buddha once said “Thousands of candles can be lit from a single candle, and the life of the candle will not be shortened. Happiness never decreases by being shared.” To me, this quote is the perfect explanation for why my father is beginning his journey. My father is a candle, and baseball has lit him ablaze. His ultimate goal over the next few months is to light as many more candles as he can, spreading the joy he experiences from baseball with the world. As his new excursion takes flight across America I’m certain that his adventurous spirit, dependability, and optimism will rub off on the local citizen’s fortunate enough to cross paths with him. Now, as I scroll through my twitter feed each day, I will not only be reading about what’s on my best friend’s mind, or what Kim Kardashian is doing today, but also tracking the progress that has been made by the one and only @_baseballbuddha.